When it comes to technology we don’t have many things to proud about. When I talk to others, they often boast about India 5000 years back; which of course is more of a story than a verifiable history. There may be lot of things existed 5000 years ago, we may be far ahead of the world at that time; but two problems are associated with these types of claims. 1. It’s not fully verifiable and 2. Its 5000 years ago. No one talks about 30 or 50 years back. However, there are a couple of institutions which kept Indian flag flying high in technical arena. One such institution is ISRO. Most of the missions of ISRO are successful and economical; fulfilling the dreams of a country (other countries and universities as well) by providing an economical ticket to space. In addition to this, ISRO is believed to be free from corruption and inefficiency which otherwise eating away the core of government run enterprises. There are many good stories about ISRO. Especially its resilience and growth even under heavy international embargos especially after India's nuclear test at Pokhran. Around one week back, ISRO's work horse (PSLV series) completed its 40th launch, out of this 38 are successful and 1 launch is a partial success. This is 2nd launch of this rock in this year. Probably space mission is one area where pioneer’s visions were successfully me by the institutions they formed. Two more launches are scheduled for this year. August launch will place IRNSS-1H and December launch is for TeamIndus and Team HAKUTO (Google's $30mn Lunar XPRIZE teams). 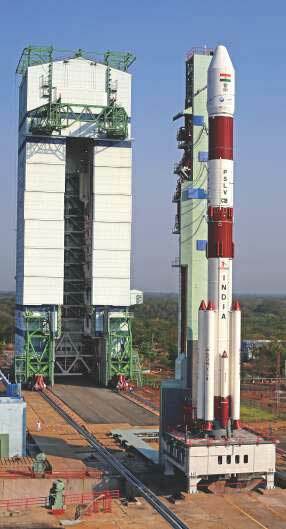 PSLV was used for Chandrayaan-1 (PSLV-XL, 2008) as well as Mars Mission (PSLV-XL, 2013) as well. ISRO have other series commercial challenges ahead. One is to enter in to the space of commercial launch of heavy satellites to geo-stationery orbits. Another one is keep the order book busy for launch of small light weight satellites. Advancement in software, hardware and electronics considerably reduced the size of satellites. In future, it will go down further. Companies like Space X, Vector Space Systems are actively venturing in to this area.